It’s time for a big update including elements and events in exploration, and above all the Metabot! Also, players will now be able to fully play with a gamepad! 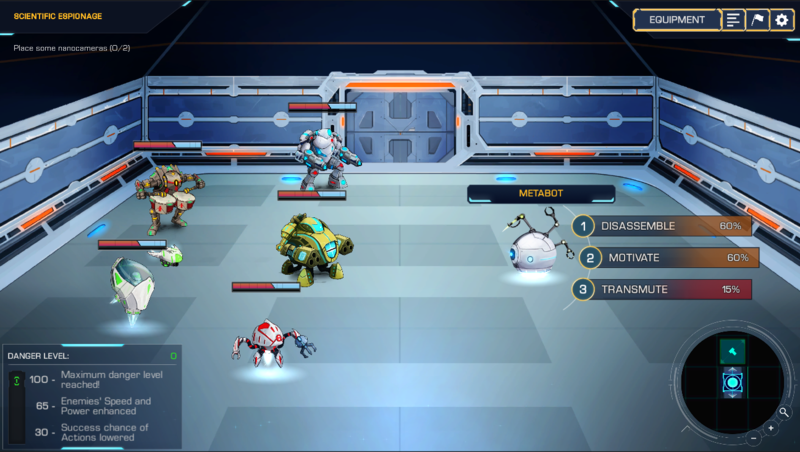 It’s time for a big update including elements and events in exploration, and above all the Metabot! We have also greatly optimized the Hangar, Black Market and Workshop views so players can have a better and smoother experience in these scenes. New inspectable elements and multiple choices events, including the Metabot! Explore levels during your missions to discover them! Several inspectable elements have now an evolution version! Controller support has been implemented! Scrolling areas no longer get refreshed back to the first element in the list when buying, selling, equipping, unequipping, crafting, reforging and recycling. Reforging and recycling time in the Workshop has been greatly improved. It should now be almost instant even for the recycle all button. Buying and selling time in the Black Market has been greatly improved. Autosell option in the Black Market has been optimized. Buying and selling time in the Hangar has been greatly improved. 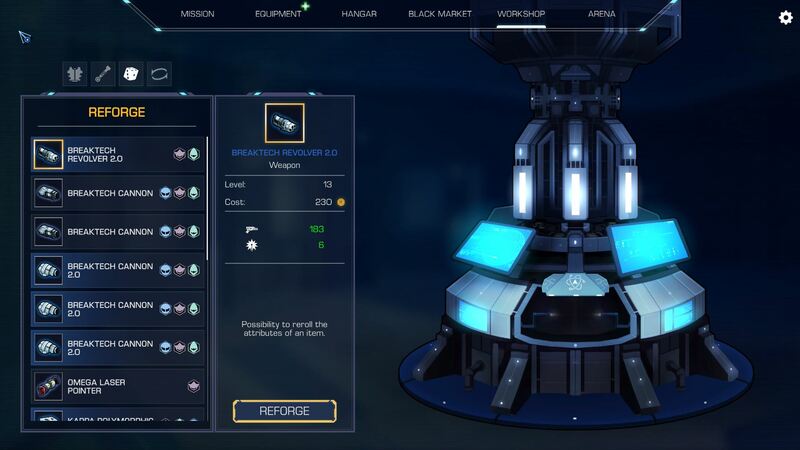 Players can now sell multiple resources at once in the Black Market. Items tooltips have now a default attributes comparison without having to press any key or button. Equipped item highlight is now shown by default when moving the mouse over items in the inventory without having to press any key or button. Robots can no longer be sold in the Hangar if players have only 5 robots left in both their Team and Reserve. Players can now cancel the last robot bought or sold in the Hangar. Dynamic size of tooltips has been improved for skills with talents upgrades. Demonstrations notifications have now the same behaviour than exploration notification (having the mouse over a notification keeps it displayed). Specific notifications in exploration which are not directly tied to an action have now a new orange icon. Added missing sounds for inspectable elements and multiple choices events. Added an option in the settings to not show tutorials dialogs and help windows. Robot size in the Ultimate sequence has been optimized to avoid some blurring effects. New end of turn indicator in the turn order list. New target icon for skills that can be used either on an ally or an enemy. New pvp match result view. Fade out timing has been optimized when entering the exploration scene. Added a sound when moving the mouse over buttons. Base Life increased from 79 to 100. Life per level increased from 16.63 to 21.05. Base Shield increased from 146 to 150. Shield per level increased from 30.74 to 31.58. Demonstrations base success chance range reduced from 70%-90% to 60%-80%. Maximum success chance reduced from 100% to 95%. Demonstrations success chance bonus reduced from 20 to 10. Enemies always Suprised has been changed to 65% to be Suprised. Number of threats unveiled at the beginning of missions reduced from 3 to 2. Arena profile creation has been fixed. CyberRights second mission when betraying the humans or cyborgs. Fixed an issue that could cause players to be stuck in BioThorium’s second mission with old saves. Fixed an issue where the Danger Level was not set correctly to 70 in Rescue missions. Fixed some issues on specific scenes with some smaller resolutions causing UI overlapping. Fixed an issue causing several notifications to be displayed when teleporting in a room containing a locked door by using the minimap. We have a special channel on our Discord call “Giveaway” where you can win each week a Steam key of an indie game that we love. Each saturday we are doing a giveaway of Steam key from indie studios that we love and you will have a chance to win it for it by joining us. At the same time, you can share and talk on our Discord about indie games that you are playing or that you like and if we love it too, it will be selected for a future giveaway. Tired of invading dungeons? It’s time you built your own! War for the Overworld is a Dungeon Management Game that employs your favourite aspects of the RTS and God Game genres. Carve out your Dungeon and conquer the Overworld! That’s all for now. 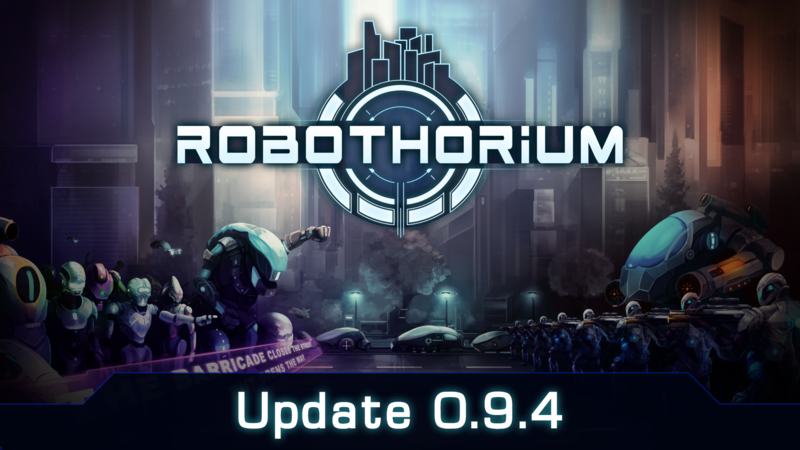 We will be back soon to share with you our progression on Robothorium.